The New York Giants need to make a decision on big-bodied receiver Brandon Marshall, and finding a cheaper replacement might be in the best interest of the team. Cutting the former New York Jet would save the Giants upwards of $5 million in cap-space. The influx in cash could not only sign a quality replacement, but also allocate a bit more capital towards the special teams unit. The Giants’ special teams has been lackluster over the course of the past few seasons. Increasing the quality of the roster in all facets of the game is essential in returning to success. Marshall has yet to take his physical, which would ultimately allow the Giants to either cut him or retain him. Marshall has spent a majority of the offseason practicing alongside Eli Manning and building chemistry with the future Hall of Fame quarterback. If GM Dave Gettleman decided that cutting Marshall was the right thing to do, it’s possible he retires on the spot. The Giants could look no further than his former teammate Eric Decker to replace him on the outside. Decker spent the 2017 season with the Tennessee Titans on a $4 million deal over one -season. Marshall struggled to live up to expectations in 2017, dropping two key passes that resulted in two ‘giant’ losses. A STAGGERING COMEBACK IN KANSAS CITY!!!! ONCE TRAILING 21-3, THE TITANS STUN THE CHIEFS AT ARROWHEAD!!! 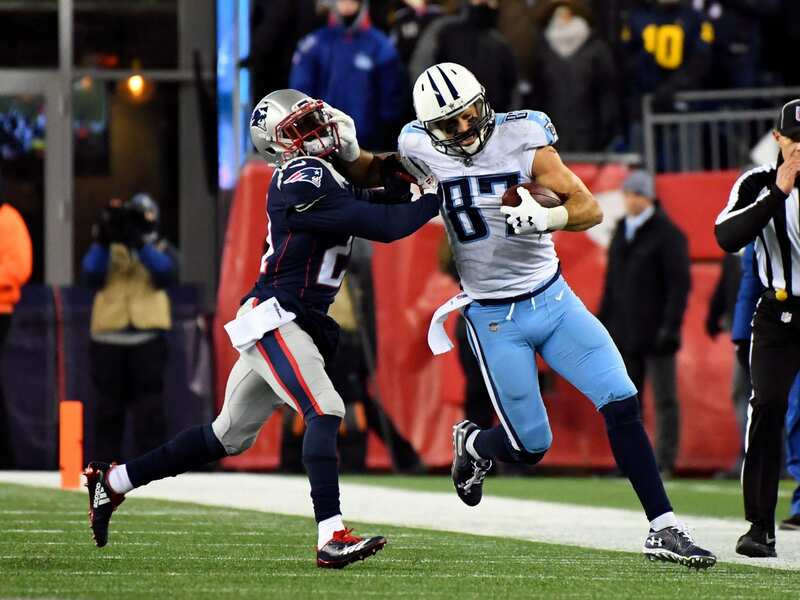 MARCUS MARIOTA'S GO AHEAD TOUCHDOWN PASS TO ERIC DECKER IS EVEN BETTER WITH TITANIC MUSIC!!! WHAT A WIN FOR THE @TITANS!!! Decker racked up 536 yards and one touchdown in a secondary role last season. He played in all 16 games and started in eight of them. An interesting statistic: Decker caught 65.1% of his passes, making for the highest since 2012. Adding a strong, big receiver to the team would complement Odell Beckham Jr. well, and he would fit perfectly on the boundary with Sterling Shepard working out of the slot.